Let's face it, unless you are a covert company who serves spies like James Bond, your business needs to be found online. Our founder, Dave Delaney, brings decades of traditional and digital marketing experience to the table to help you understand, develop a plan, execute that plan, and measure the results. Your customers, prospective clients, future team members need to find you. Do these questions sound familiar? "How do I create a content marketing strategy?" "Is our social media working for our business?" "Are Facebook, LinkedIn, Twitter, YouTube, Instagram, the right choices for our type of business?" Whether it's a comprehensive audit and plan, or a morning or afternoon workshop, we have the training you need to get ahead of your digital marketing efforts. Our service breaks down into three stages: The Audit, The Plan, and The Results. The outcome will bring you increased traffic to your site, loyal customers, a strong brand awareness, and increase your revenue. We will help you along each step of the way. 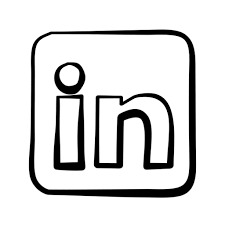 Over 500 million people use LinkedIn, with one new member joining every second. Executives from all Fortune 500 companies are on LinkedIn, you should be too. There is no denying the importance of LinkedIn for your sales, marketing, and human resources departments. We will teach you everything you need to know. — Ginger Hardage, Former SVP of Culture and Communications at Southwest. — Bhavin Shah, CEO & Co-founder, Refresh Inc.
— Steven Light, Executive Vice President, Chief Production Officer at LeaderOne Financial. — Nick McIntyre, Creative Director, WMV Productions.